They say with little kids at home you are constantly sick. Now I am happy to report that this is absolutely not true for me, I rarely catch the kids bugs. But in early March I came down with a cold, and it honestly was the worst cold I had in years. Coughing, sneezing and constantly blowing my nose. Pretty soon the skin around it was sore, red and full of dry patches. I knew I had to exfoliate, but as someone who’s stash mainly consist of strong AHAs that sounded painful. 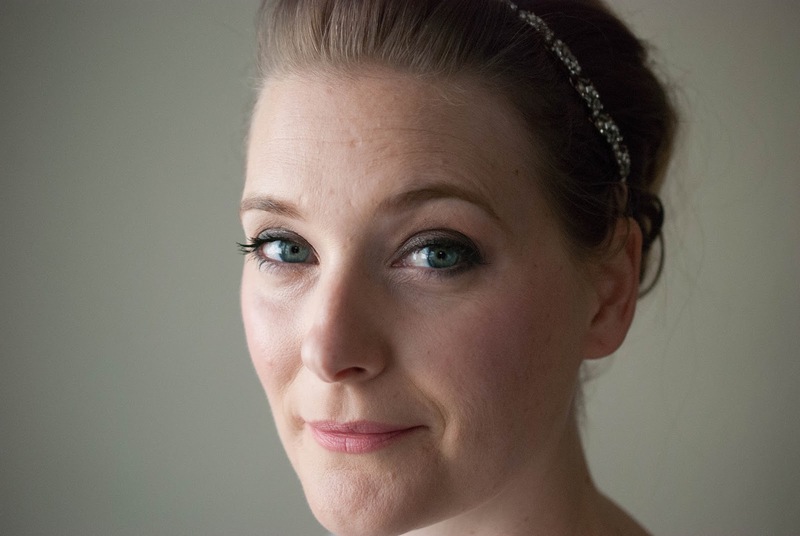 The acid burn is real, people, especially if your skin is sore already. 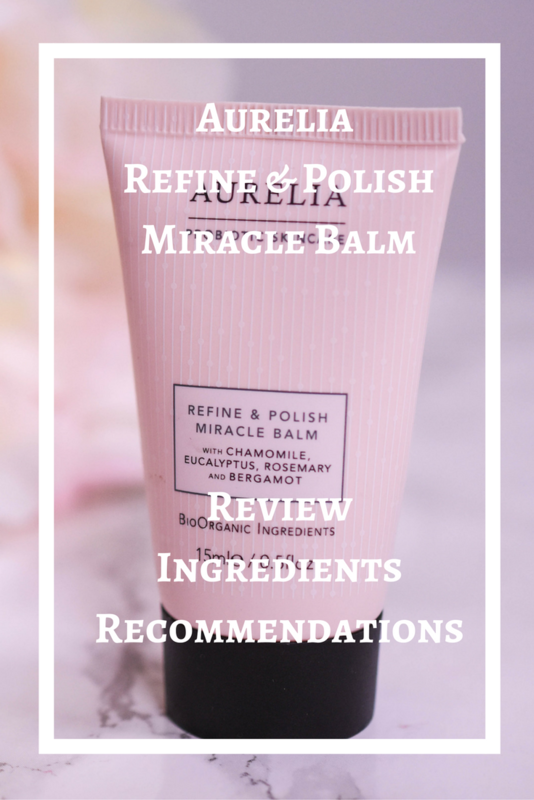 Now thankfully I have everything and the kitchen sink in my beauty drawer, and a quick rummage brought the Aurelia Refine & Polish Miracle Balm to surface. Honestly the most gentle exfoliator I have used in years, getting rid of my dry patches in a heartbeat while soothing my sore skin! 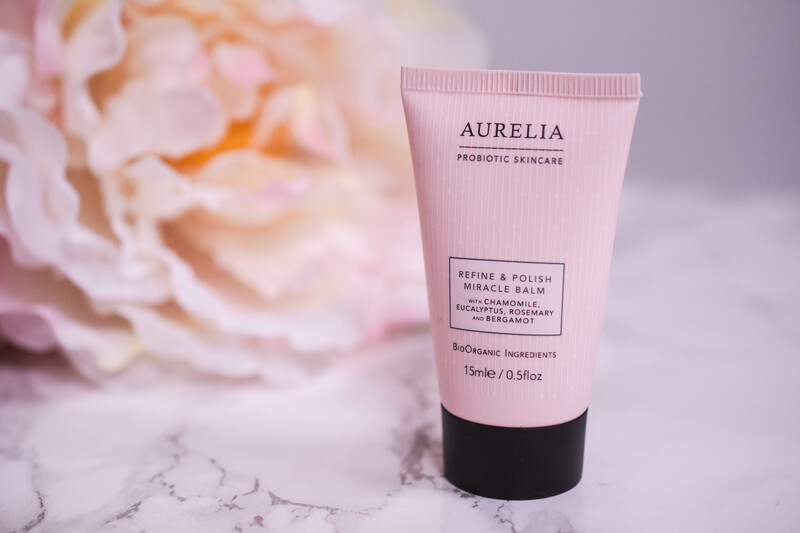 Aurelia is proud to premier this revolutionary double-action, multi-use enzyme polish which works to transform and brighten dull, rough, congested and lacklustre complexions. This unique product features our signature probiotic and peptide complexes to balance and protect the skin, while a medley of the purest skin-brightening BioOrganic oils emulsify on contact with water. The Miracle Balm is fragranced with our uplifting essential oil blend of Chamomile, Eucalyptus, Rosemary and Bergamot and contains natural rice bran refining beads to gently dislodge dry skin cells, boosting circulation through manual massage to reveal bright, clear and beautiful skin. As a mask leave on the skin for 5 minutes allowing the powerful plant enzymes to activate and deeply exfoliate skin by targeting dead surface cells, transforming the foundation of your skin. On contact with water the balm will instantly turn into a milky fluid, rinsing completely clean. Skin is left silky soft, smooth and glowing. One tube contains 75 ml and retails for 57 £ on the website here. I have a travel size that has lasted me through more than two months now, as I only use it once a week. The full size should easily last you up to a year. A little grainy upon application the one thing that stood out to me is the oiliness of the product. And I mean oiliness in the best way possible. It feels so soft and hydrating when applied, and the fact that it smells like Eucalyptus and Rosemary only adds to the pleasant experience. I take a pea sized amount and massage it all over my face and jawline. Despite containing physical exfoliants it glides over my skin, leaving it nourished and soft after rinsing. Using it as a mask is my favorite way, but the results are there even if you just chose to exfoliate. An exquisite blend of oils (Sweet Almond, Olive and Mongongo to name a few) is what makes this exfoliant incredibly moisturizing and gentle on dry skin, while Sugar Cane (natural source of Glycolic Acid) and Yogurt Powder (providing Lactic Acid) act as chemical exfoliants. Rice Bran beads work as gentle physical exfoliant and the essential oils provide the uplifting scent. Add in some Glycerin for hydration, a few brightening ingredients like Lemon Fruit Extract and of course the Aurelia signature Bifida Ferment Lysate to provide you with antioxidants and you are left with a very gentle and nourishing exfoliator. As I have said before: If your skin is very sensitive, stay away from products with a lot of essential oils. Or at least make sure to patch test first. They may be of natural origin, but they are powerful irritants. Other than that Aurelia is proud to be free from silicones, mineral oil, synthetic fragrances, colorants, parabens and a lot of other things that may be troublesome to you. It is a lovely mix of both physical and chemical exfoliants, smells amazing and leaves my skin soft and nourished. It also contains probiotics as claimed, but as I stated here already, I don’t think they are going to do anything else than works as antioxidants. As much as I love this product, I feel it is best suited for people with dry skin. Don’t get me wrong, it works great on my combination skinl, but the nourishing aspect isn’t as important to me. People with dry patches, as the combination of nourishing oil and gentle exfoliation will get rid of them in a heartbeat. People that want a physical exfoliant, but are afraid of products being too harsh on their skin. This one isn’t. Promise. People that prefer a brand that is cruelty free, but still effective. I will most likely repurchase the Aurelia Miracle Cleanser (Review) over this one, but should I ever see my skin suffering from dry patches on a regular, that exfoliant will be top of my list of things to buy.